Experience intense bass with the large 5-inch front-firing driver. With both 3.5mm and RCA inputs, play audio content from your computer, tablet, smartphone, game console or TV. 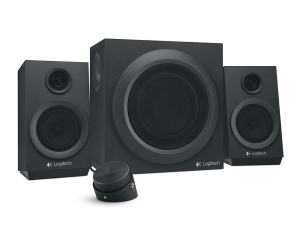 Listen to music from your Bluetooth wireless devices-smartphone, tablet-by adding Logitech Bluetooth Audio Adapter-sold separately.